We all know the hassle that cooking meals can bring. It’s been a long day at work, the family is hungry, and you just want to order a pizza and call it good. Fear not! You don’t have to sacrifice time and energy to make delicious home-cooked meals. With these five tips, you can create quick, easy, and delicious food every night of the week. By far the best thing you can do to help in food preparation is to have the right tools for the job. Quality knives, pots and pans, and utensils are essential to any kitchen, and the difference between good and bad tools can make a massive impact on the time and energy spent to prepare and cook your meal. An empty kitchen is a sad one. Make sure to always have basic ingredients that are versatile and easy to work with (pasta, ground meats, milk, veggies, etc.). You will be surprised how creative you can be when you have a plethora of ingredients at your disposal. More ingredients doesn’t just mean more variety, it means more ways to make easy meals! Don’t like running to the grocery store? 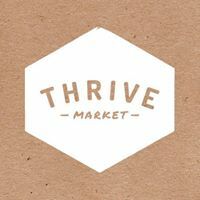 I have particularly enjoyed shopping at Thrive Market– an online site that sells healthy and natural foods as truly discounted prices. If you don’t have a Crockpot, get one! The slow cooker is an amazing addition to any kitchen, and you can do so much with it. My teenage son actually bought me one for Christmas last year. (I think he was hinting that I needed to cook more, LOL!) Pastas, bakes, soups, stews, you name it, a Crockpot can do it. The biggest perk about a Crockpot is letting food slowly simmer throughout the day, so you can prepare it the morning before and let it cook for the whole day, hot and ready when you get home-easy and delicious! Everything you cook or make is considered a recipe-it is an essential part of cooking. Take some time to accumulate recipes that you and your family will enjoy. A simple internet search will reveal thousands upon thousands of possible recipe ideas, many that are affordable, quick, and hassle-free. I personally get a lot of recipes from Facebook. 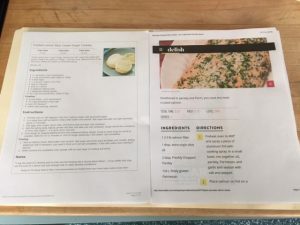 When I see a recipe in my feed I usually click on the link and immediately send it to my printer and then put them in manilla file folder. I keep the file folder I keep in my pantry and it so helpful to have somewhat of a guide when I go grocery shopping to plan out meals. Leftovers are an inevitability when you cook your own meals at home, embrace them. They provide a safety net for dinners. Forgot to cook dinner, or aren’t feeling it? Pop some leftovers in the microwave and eat that! Leftovers are a great dinner solution, and eating them not only makes your life easier, it prevents unnecessary food wasting, which is an all too common occurrence in the average household. How to hold them? Well, you could use plastic containers, or even worse, plastic wrap over the original container. Unfortunately, food does not last particularly long in these containers, and are susceptible to bacteria and other contaminants. Using glass containers like Wean Green are airtight and stack wonderful in your fridge and because they use tempered glass, the containers are strong, and keep food fresh longer. 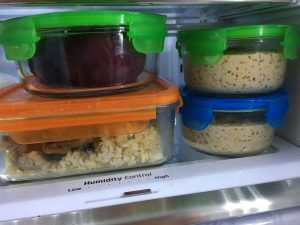 Wean Green’s variety of storage containers are a must in my kitchen, and help my meal routine be easier and more efficient. By following these simple tips, you’ll be able to enjoy and look forward to cooking delicious meals for you and your family instead of shying away from them. This entry was posted in Blog and tagged easy quick meals, thrive market, wean green. Bookmark the permalink.